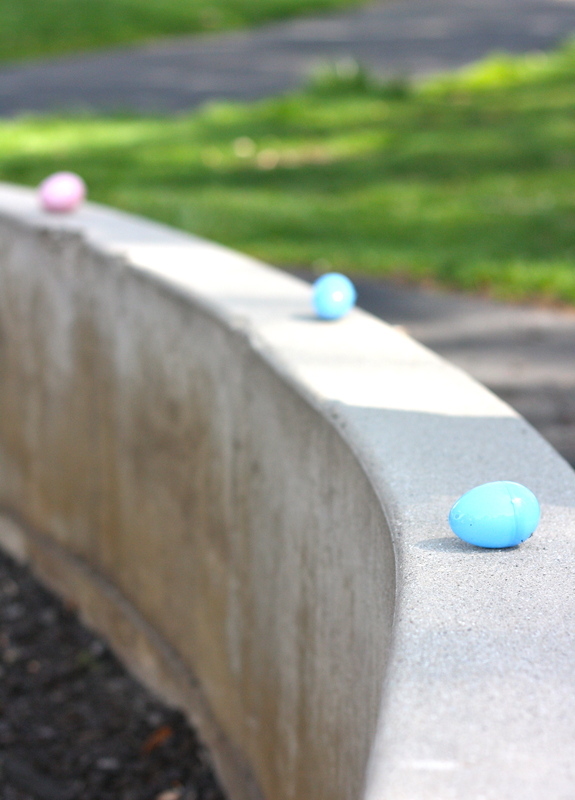 AN EGG HUNT, PRETTY GIFTS, AND A DINNER FOR EASTER | jeni a.
Easter Sunday 2014 takes the cake. And the peeps. The day just started off right. I got online to find a pretty Easter song by the Mormon Tabernacle Choir (they’re my fave) and found this video of “He is Risen.” My heart did that swelling thing as I watched it with my Olivia, who was oohing and wow-ing at what she saw. I had the strongest feeling of love for Jesus Christ. I can’t grasp everything He has done for me – and is doing for me – but I know it’s a lot. I know that He isn’t some far-off, spirit-like person that doesn’t know me. He knows me. I am so grateful that every day is a gift to know Him better. Post-breakfast, we had the funnest, fastest little egg hunt with Olivia's friends. We did not realize how much Olivia would love this day! 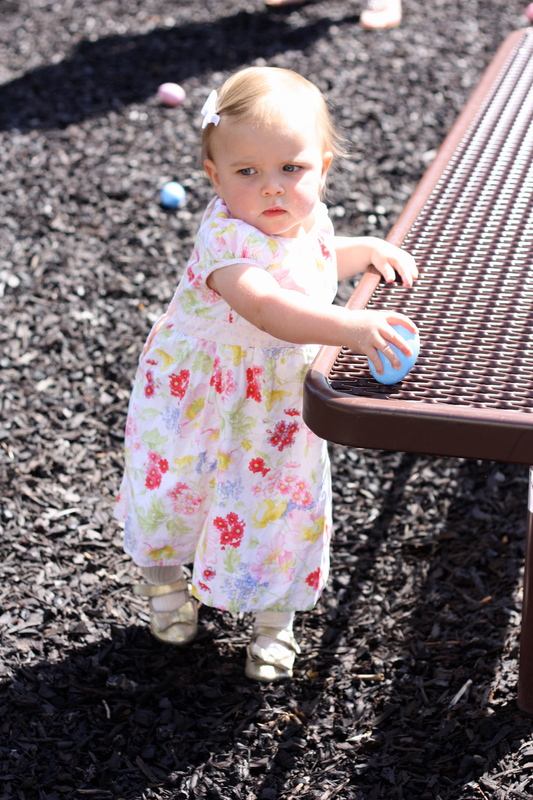 She has this thing for collecting, gathering, and organizing her little things, you know (like rocks and pinecones), so the egg hunt was just - - too good for words. Like Miss Serious Olivia hardly said a thing - and hardly smiled. We were semi-lame parents, PS, and didn't get her a legit Easter basket since we're moving soon. Miss O didn't mind, though. Do you realize how many eggs she fit in that brown Soel bag?? Above and below - the prettiest little Easter gifts. I have creative and generous friends here (obviously). The piggy egg on the left below was made with Olivia's friend's finger print, and the one of the right has a traditional Bulgarian leaf-print. Pretty, right? We loved. 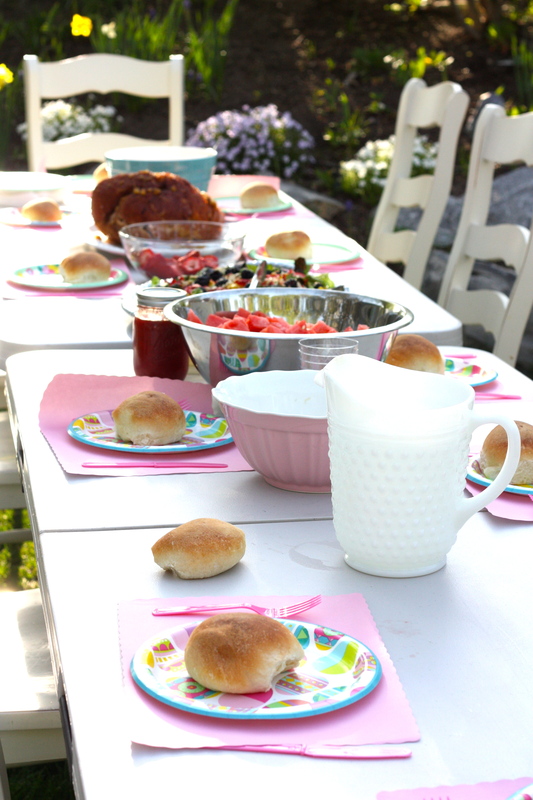 Our Easter Dinner spread. Annie and Adam graciously hosted us all in their perfect yard. If only the evening wouldn't have ended...it was sweet, as an Easter Sunday should be. We talked and laughed and played. This coming week should keep up this awesome family stuff, too - Ryan is graduating and we are partying. I so love my family. Cherishing this time with them! !